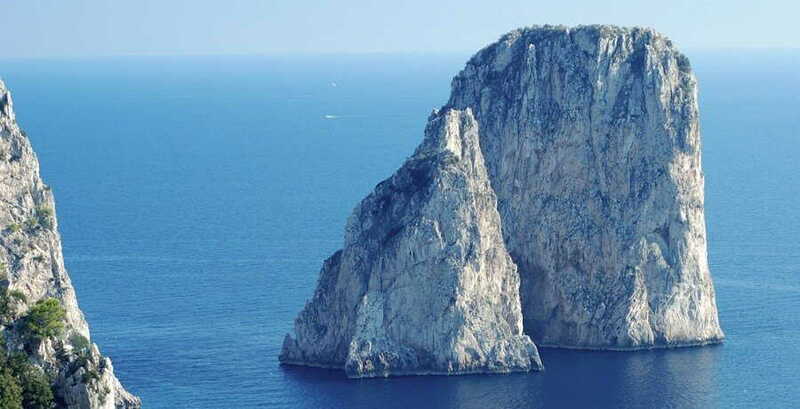 Please note: from 1st November – 31st March this tour will not visit Capri. Travellers will instead have more time to explore Sorrento. During the busy period of August – September, passengers will be accommodated in hotels in the surroundings of Sorrento. The first day of this tour is also available with Spanish, German or French speaking guide (French and German April – October only). Audioguides are available in selected languages (Italian, Portuguese, Chinese, Russian and Japanese) for the Pompeii portion of day one. Please select the option you would prefer when you book. Luggage is restricted to one piece per person. Maximum of four people per booking. Dress code for the dinner on day one is smart. This tour concludes in front of Santa Maria degli Angeli e dei Martiri (near Metro A line stop Repubblica and Metro A and B line stop Termini). 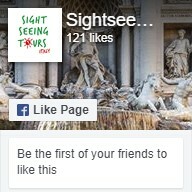 We pick up from the central Rome hotels listed below. If you are unable to find your accommodation in the list, please contact us to find your closest location. We are unable to pick up from private residences. Hotel drop-off is not included and the tour will conclude in front of Santa Maria degli Angeli e dei Martiri (near Metro A line stop Repubblica and Metro A and B line stop Termini). Discover the stunning sights of Southern Italy as we take you on a two-day adventure around the breath-taking scenery of the Sorrento Coast. This must-do on any Italian trip will expose you to charming countryside views and a smattering of historic UNESCO sites. The tour kicks off with a drive down the famous Highway of the Sun. Along the way, we’ll pass jaw-dropping Roman countryside filled with sprawling fields, ancient ruins, and quaint villages – keep your eyes peeled for the impressive Castelli Romani. 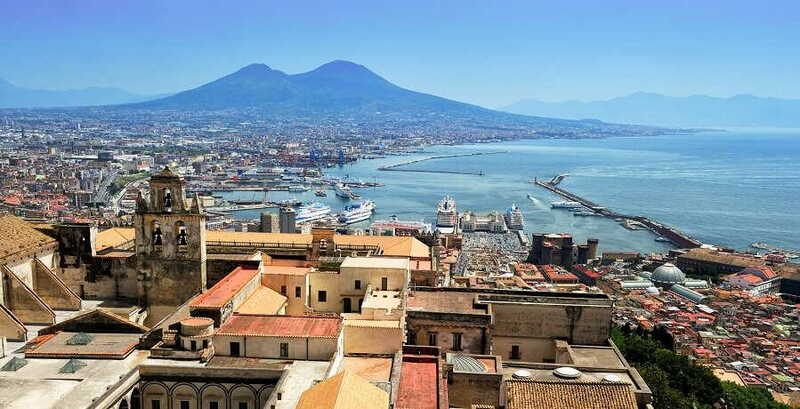 We’ll make our first pitstop in Naples, a city flanked by never-ending views of the Mediterranean and the soaring heights of Mount Vesuvius. But we’re here for the historic sites so, after a traditional Italian pizzeria lunch, we’ll head on to the tragic ruins of Pompeii where we’ll spend the afternoon exploring this once-thriving city that has been frozen in time by thick layers of ash from Mount Vesuvius. Once we’ve finished up in Pompeii, we’ll continue on down to the Sorrento Coast, where we’ll tuck into a delicious formal dinner. Afterwards, you’ll be free to spend the evening as you wish, whether that’s wandering the city streets or relaxing in your plush hotel room. Day two starts early with breakfast before we move onto the beautiful island of Capri. 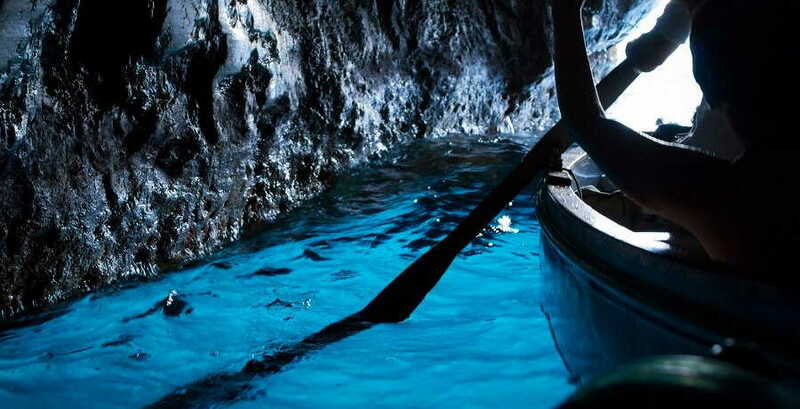 If the weather’s good, we’ll take a boat trip to the Blue Grotto where you can witness the sun lighting up an underwater cave that turns the seawater a vibrant shade of turquoise. This is the perfect opportunity for a photo, so don’t forget your camera! Afterwards, we’ll head back to Capri where we’ll hop aboard a bus and travel to Anacapri, a site that sits proudly 280 metres above sea level. Here, you can gaze out at incredible views of the Bay of Naples before we tuck into a traditional lunch at a nearby restaurant. You’ll then have some free time in Capri before we head north once again and return to the ancient clutches of Rome. 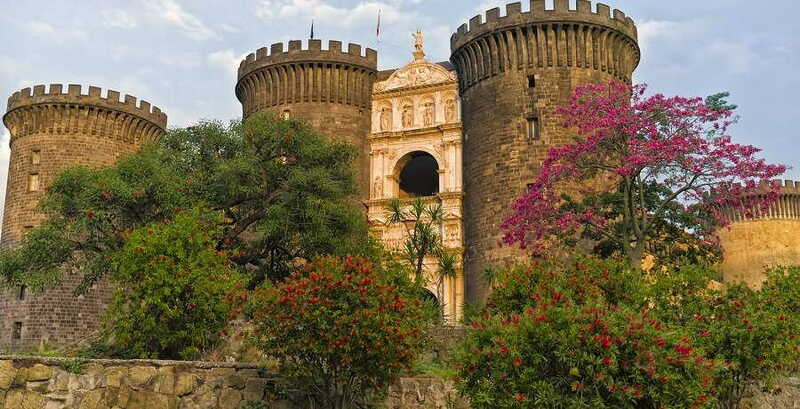 This two-day adventure is the perfect way to soak up the ancient charm, historic narratives, and stunning views of the Sorrento Coast and its surrounding countryside. 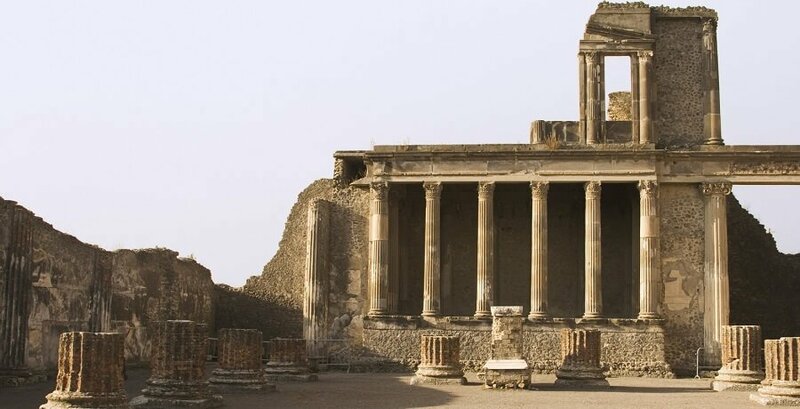 Why not check out our other Pompeii Tours?